Remember the day? It was the glory time of Sven Goran Erikssen. 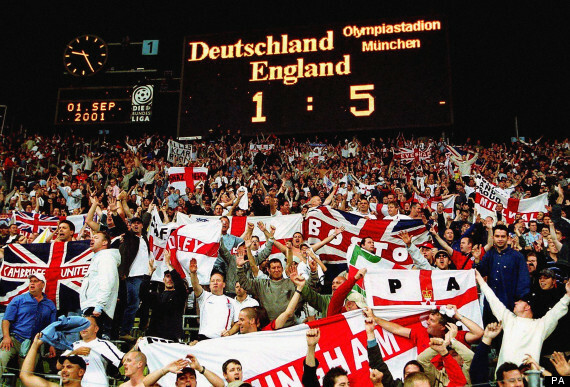 England had rocked up at the Olympic Stadium in Munich to play a qualifying game for the 2002 World Cup and scored five goals after the Germans had initially gone ahead. It was the first day of September 2001, and just as the leaves were starting to turn brown, German football recognised that the fortunes of the Mannschaft were also on the wane. Something must be done. The previous year, in the European Championships, played in Belgium and Holland, Germany had finished bottom of their group, garnering a single point from a draw with Romania with just one goal scored. Now even the unthinkable of a potential failure to qualify for the World Cup was in prospect. In the final analysis, they still managed to qualify, overcoming those seemingly perennial play-off victims Ukraine, to ensure passage to South Korea and Japan, where they would eventually end up as tournament runners-up. None of that however clouded the judgement that action was required. The Germans still remembered that day in Munich, and knew action was required. It’s often said that you learn more from your defeats than you do from your victories. If that’s the case, following the dismal Euro 2000 performance, and Erikssen’s day in Munich, Germany took the lesson to heart. This wasn’t a reaction that focused on criticising players for lack of effort or for not caring. It didn’t look at a blame game. It looked for solutions. The DFB, together with the Bundesliga and the clubs, resolved to overhaul their structure. The target was to produce more technically proficient home-grown talent, from the academies that were introduced across the top two divisions of the Bundesliga, allowing them then to be developed by the clubs. The new academies would have quotas allocated to German qualified players to ensure that the national team would not be starved of young talent, and that all of the clubs would have a strong German element to their team. The success of this was shown when, in 2009, Germany won the European U21 Championships, beating 4-0 England in a decidedly one-sided final. You may consider this as sufficient indication of the success of the new process. Add in however the fact that of the German starting eleven in that final, five kicked-off the World Cup final for Germany last weekend – Manuel Neuer, Benedikt Höwedes, Jérôme Boateng, Mats Hummels and Mesut Özil. The total would, in fact, have been six had Sami Khedira not been injured in the warm up for the game. For the record, in comparison, England had one survivor from that final in the squad that failed to get out of the group stages, in James Milner. Had Theo Walcott not been injured, that may have been two. Progressing six players from European U21 champions in 2009 to World Champions in 2014 is an outstanding result for the structure that German football put into place. England’s record of having only two survivors even to make it into a squad that weakly went home after falling at the first hurdle pales into insignificance. It’s not merely a matter of quality and development however. The new academy and quota system has resulted in a situation where Low can select from more than double the number of nationally qualified players in the top division of German football, than Roy Hodgson has to choose from in the Premier League. Improving the talent pool of German-qualified players was only one strand of the changes introduced however, attention was also given to the club structure and the coaching set up. A rule was established to oversee the ownership of the clubs. A “50+1” stipulation was enacted, that would prevent any single ownership taking over a club. This has resulted in an easier to manage structure where clubs remain profitable, ticket prices are low, and although television rights aren’t flogged around the world for the sorts of massive sums needed to fund the lavish spending habits of Premier League clubs, the product on the pitch is superior, and more successful. Witness not only the success of the national squad, but also how Bayern Munich have become the premier force in European football, notwithstanding their disappointing home leg elimination from the Champions League by Real Madrid last season. The other significant move was with regard to coaching. Joachim Low was appointed as national manager and given time to develop a squad and deliver on its potential. In the time that Low has led the Mannschaft, the Three Lions have had four managers. Anyone want to bet that there won’t be a fifth, or even a sixth, before Low hands on the baton? 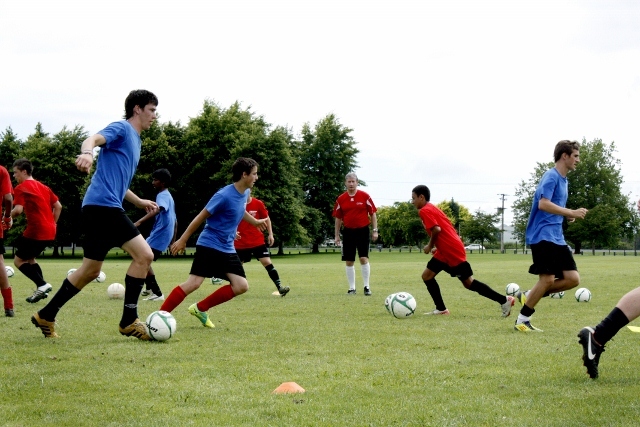 A drastic overhaul of the system that produces football coaches was also applied. German football now boasts roughly ten times the number of coaches with the top grade qualification that the English game has. As a holder of an FA Coaching badge, I can confirm that I was taught that my task was to concentrate on performance goals, rather than outcome goals. Improving a player in junior football, was to be valued much higher than winning a game that no-one would remember the result of in a few weeks. It’s something I always held to when I was coaching, but so many ‘managers’ – even of junior teams – were more interested in ‘glory’ and winning, that it was often an uphill task. Magnify that by infinity and you have the situation in the Premier League. Ownership of clubs is now so often seen as a financial investment, demanding a return. The quick fix with buying ‘ready-made’ imported players, rather than concentrating on developing young home-grown players is the order of the day. How can a club manager be expected to truly concentrate on a long term strategy when the average survival time in the job is about eighteen months. English football is currently dominated by money, purely and simply. Greg Dyke can come up with as many well-intentioned plans as he wants, but unless there’s a consensus for change, as there was in Germany, involving not only the FA, but also the Premier League clubs as well, nothing is going to change. I’m the last person in the world to be considered as a ‘little Englander’ but there’s seems an inevitability that for so many non-English managers working for non-English owners, the English national team will not be a priority for Premier League clubs. So long as that remains the case, the Three Lions will continue to struggle. I’m unsure whether Greg Dyke is the man, but the renaissance of the England team can only be achieved by someone with the ability to unite the disparate elements in a common cause as happened in the German game. Don’t hold your breath though it may be a long time coming.